The F125 'Spirit' was introduced by EMD in May 2013, when it signed an agreement with launch customer Metrolink for the delivery of ten 200km/h locomotives with an option for ten more. Not only was it EMD's first new passenger diesel design for the domestic market since 20 years, the F125 was also the first Tier 4 compliant passenger diesel developed by the American manufacturer. Tier 4 emission legislation is comparable to Stage IIIb emission standards in the European Union. 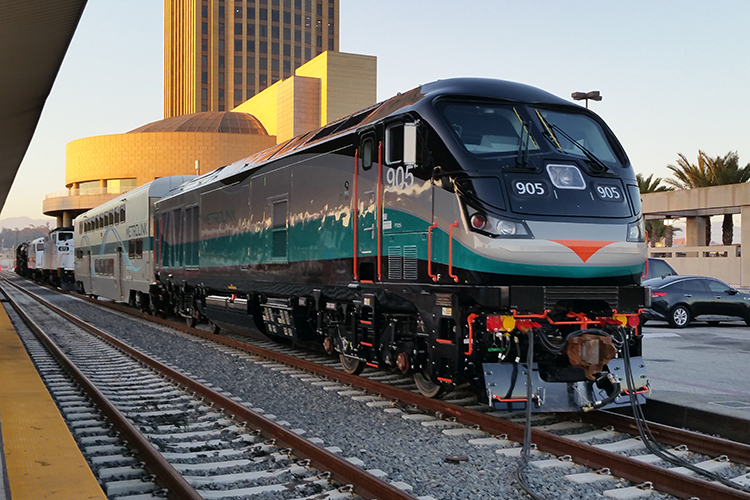 The first locos were ordered through the Southern California Regional Rail Authority and the option for ten more was excercised quickly, raising the total number of units on order to twenty. In 2015, a further nine were ordered using a state grant of $41.2m from the Transit & Intercity Rail Capital Program as part of the Greenhouse Gas Reduction Fund. Metrolink's fleet plan foresees the purchase of 40 locomotives in total, dependent of additional funds becoming available. Entry into service is planned for the end of 2016, whilst the additional 9 locos are to be delivered in 2017. The locomotives are not entirely built in the USA. The bodies of the locomotives come from Spain where they are produced by Vossloh España (now Stadler Rail Valencia). In Muncie, IN, further assembly takes place at the Progress Rail works.